Recent record temperatures across the nation have left people searching for activities to help them take a break from the heat. However, higher temperatures can mean more than just oppressive heat and humidity – they can also create less than pleasant odors. To help facility managers combat odors before they become a problem, the Cintas Corporation announced the top sources of offensive summer scents. 1. Trash. Dumpsters are a haven for odors, but this can be a particular issue in the summer months. Keep doors closed to prevent the smell of garbage from creeping into the facility and ensure dumpsters are regularly cleaned to limit odors. 2. Restrooms. As the summer months bring many families to parks, pools and recreation facilities, restroom odors can be heightened due to increased traffic. Limit odors by implementing a restroom maintenance program to ensure surfaces are regularly deep cleaned, protected and maintained. 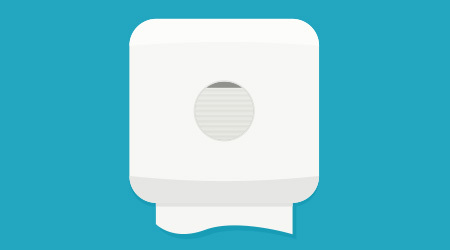 Time release air fresheners can also help neutralize odors with pleasant fragrances. 3. Dirty towels. Towels used to clean up spills, restroom surfaces and counters absorb a variety of liquids and solid substances that can generate odors over time. Avoid letting dirty towels sit for an extended period of time by implementing a regular pick-up rental laundry program. 4. Grout lines. In facilities with tiled surfaces, debris and contaminants can collect quickly causing a build-up in grout lines—and subsequent scents. Deep clean grout lines regularly to remove build-up and prevent bad odors. 5. Mops. Dirty mops can not only breed harmful bacteria, they are also a source of rancid odors that can spread beyond the supply closet. Regularly launder mops to keep them smelling fresh — and floors clean and safe. 6. Air conditioning units. Over time, coils and filters in air conditioning units can become dirty and circulate bad odors throughout a building. Using a regular deep cleaning service that keeps pans, coils and unit parts free of dirt and bacteria can eliminate the air conditioner as a potential odor source. 7. Mold. Summer thunderstorms and hurricanes can often result in flooding and leaking in various areas of a facility. To remove water and the potential for mold growth following a flood, work with an emergency cleanup service provider that uses ozone generators to quickly remove water and potential odor contributors. 8. Carpet. Carpeting in entryways or other high traffic areas can provide an optimal environment for the development of mildew in humid environments if not regularly deep cleaned. Mildew can also develop when carpets are deep cleaned but not thoroughly dried. Reduce the potential for odors and downtime with an ongoing deep cleaning system that uses fast-drying techniques.